Download them in bulk here! 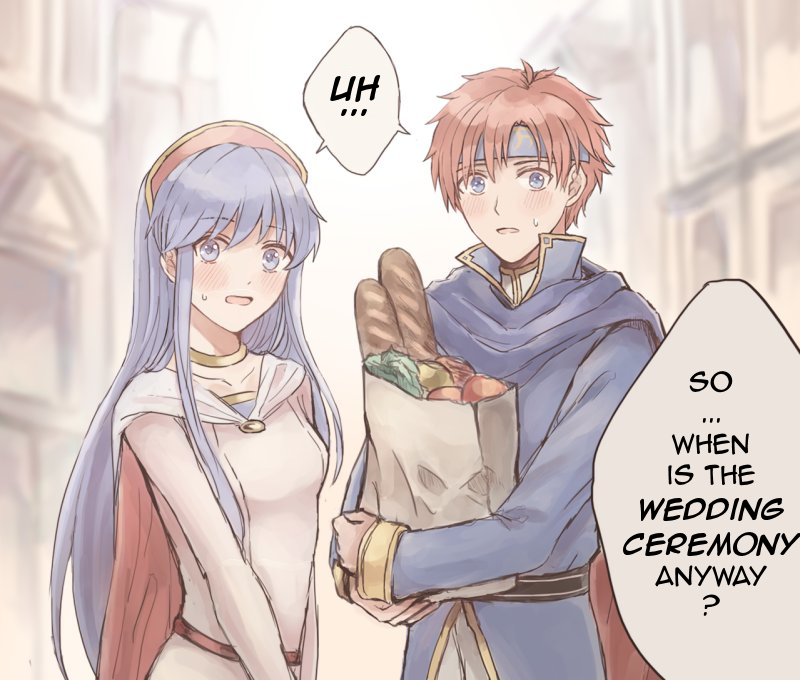 Like last time with Fire Emblem Awakening: 4Koma Kings, Fire Emblem Fates 4Koma Kings, and the Fire Emblem Fates: 4Koma & Character Book, I will be scanning, cleaning, translating, and uploading them all myself here. 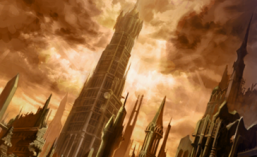 Each page has its own post, but this is the compilation post for all pages in one neat place. Please support the original authors by buying a physical copy yourself! 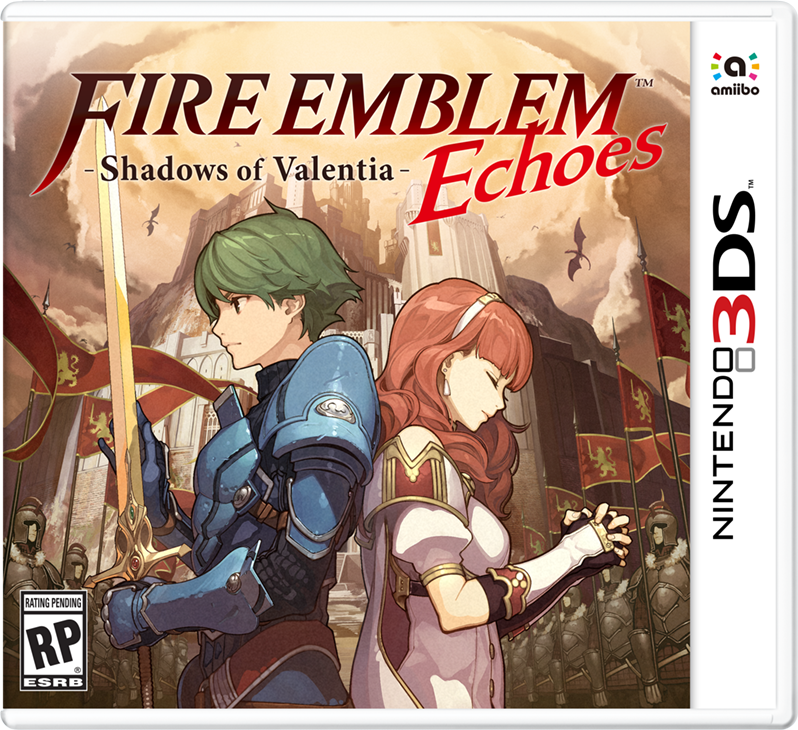 It makes for a fine addition to any Fire Emblem or manga collection, and does not cost much either. (International shipping is available). 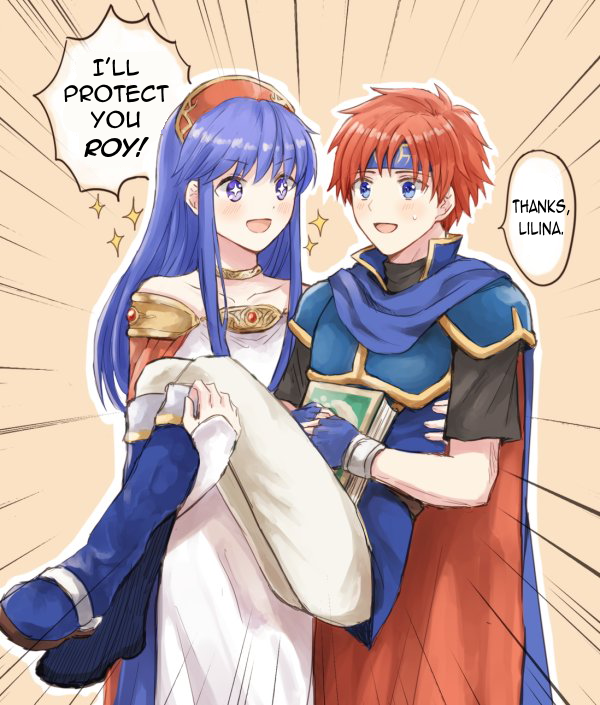 Today was another quick translation of another one of @w_spread‘s Roy x Lilina pictures. 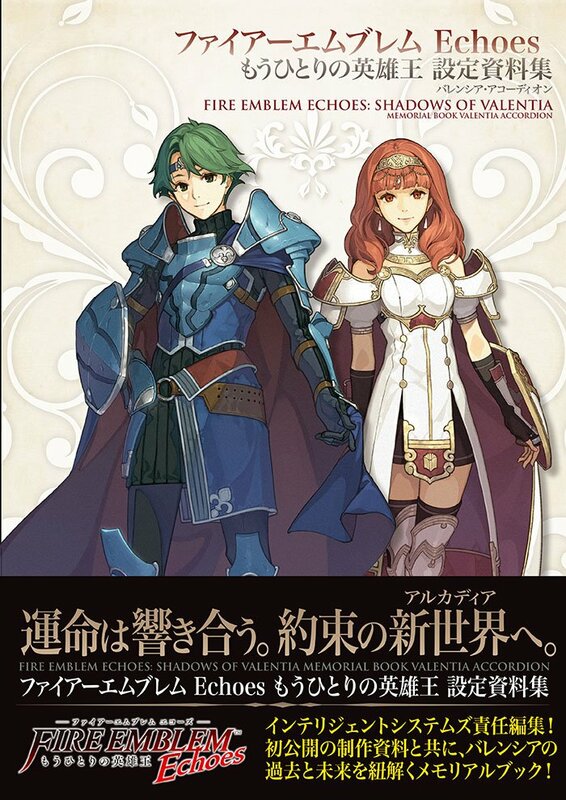 Last week, when I translated the long-awaited Dengeki Interview on Fire Emblem Echoes, I had referred to the character illustrator Hidari as a woman. I was going off of what I had believed and (thought) I had known from before so did not think much of it. When writing the translation, I still tried to look into their gender but could not really find any definitive proof either way (my go-to source, their main website, seems to have been down, and still is as of this writing), so erred on that side. However, places like wikipedia already referred to him as a “he” and such, but heard some fans were still iffy about trusting that. But I am thankful someone came forward (politely) and pointed out a particular tweet (screen shot in case it goes down) from 2011 where he states he is a man. Japanese is a language that does not often use gender references in its pronouns at all, which is one of many reasons for this complication in the first place. They do exist, but not often in formal settings, such as an interview. That tweet the kind reader sent me was still silly in a way, as he uses the female pronoun (あたし) for “I” to say “Though I am a man” which was already a little strange (the rest of the tweet is about drawing female characters and getting the pose down requires some…research… which he makes share not to show anyone else). 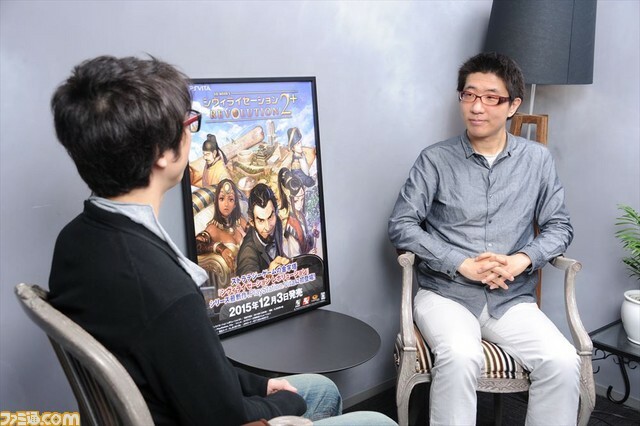 It is from the back mostly, but did state directly that is the same illustrator we have in mind, where as other pictures around did not give a definitive answer to that, so I felt this was the best one. 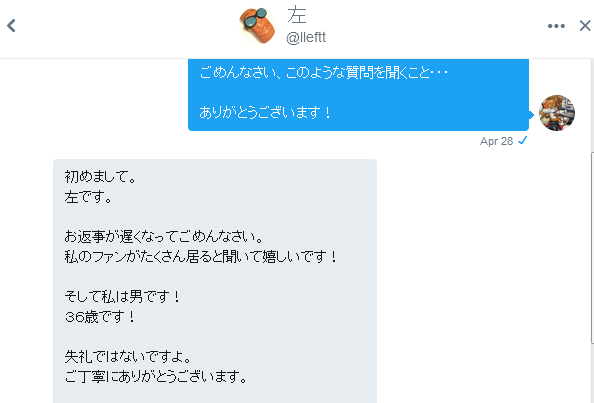 It still was not enough though, so I settled on a different method: I decided to message Hidari on twitter directly! Hello! My name is Kan. I am a translator. I have one question for you today. 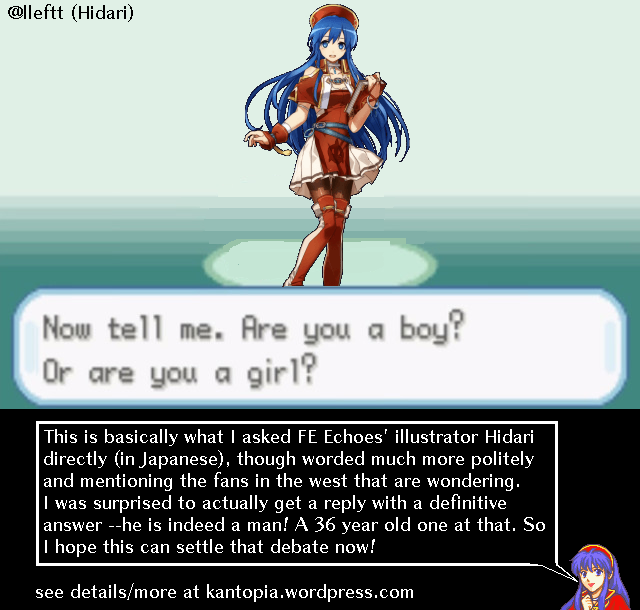 You have a lot of fans in the USA, but some of them still say: “I’m not sure if Hidari is a boy or a girl!” As such, though it may be a bit of a rude question, which are you? I apologize again for asking this type of question, and thank you so much in advance. This sounds even more direct and rude in English, but rest assured in Japanese it was asked very politely. This was done on April 28th, and the longer time went on, the more I started to doubt I would ever get a reply. Why would they reply with the 25K followers anyway? For this random (and rather direct) question out of nowhere? How do you do? It’s the left. 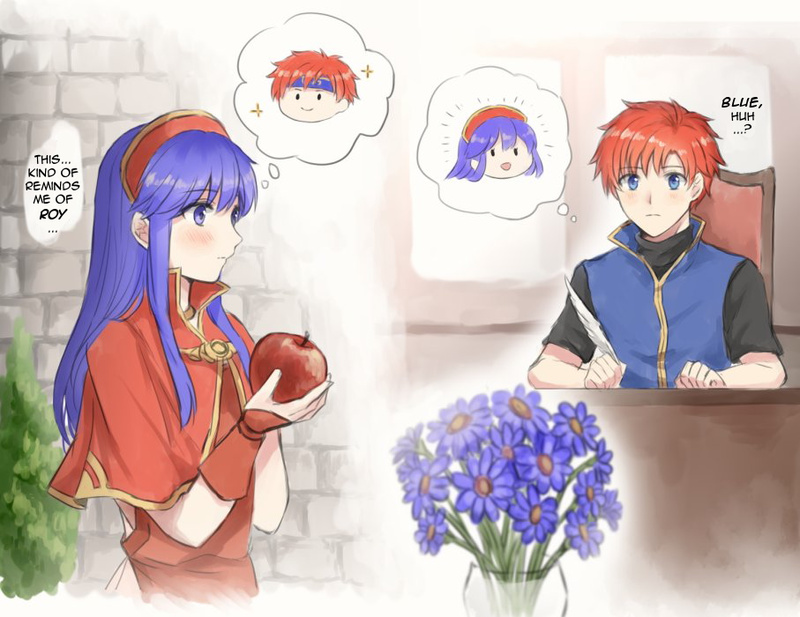 I’m sorry that an answer is late. My fan hears that there are many and is happy! And I’m a man! 36 years old! It isn’t impolite. Thank you very much politely. 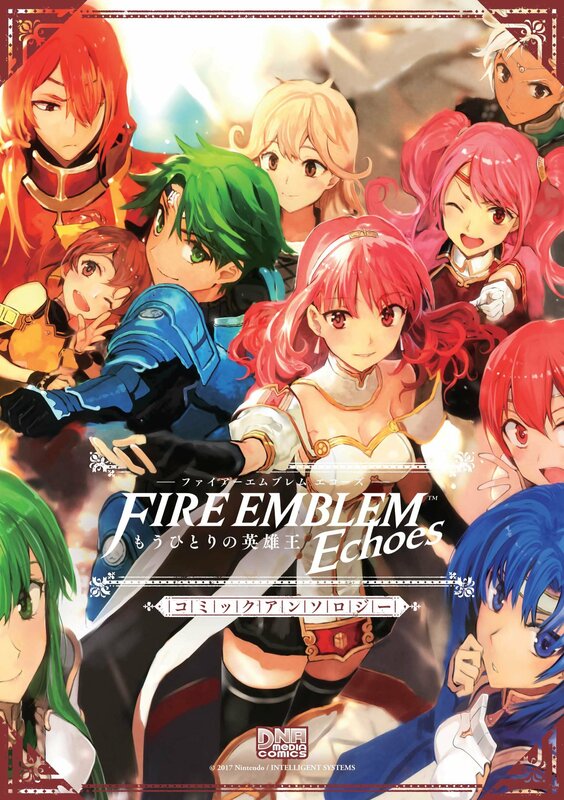 Hello, I am Hidari. I apologize for the late reply. It really makes me happy knowing I have a lot of fans [out there]! 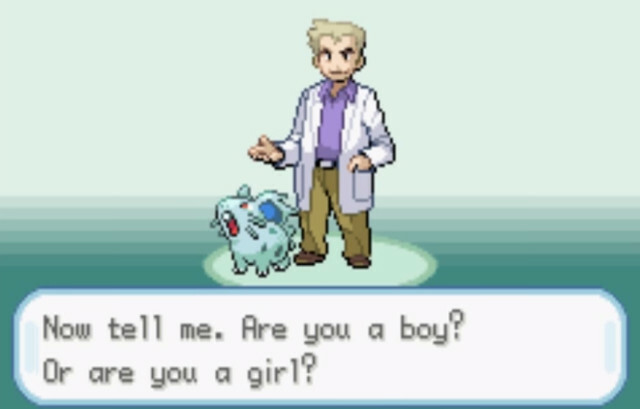 To answer your question: I am a man! And 36 years old! It was not a rude question at all (but thank you for taking that into consideration). And so there we have it, straight from the Hidari’s mouth (or, keyboard I suppose). I figure that is probably the best proof to have. After being unable to find anything really definitive, I just asked them directly (about their gender), to which they straight up replied: A 36 year old man. Hope that helps people avoid mistakes in the future! If you have any thoughts or questions, let me know below! I hope this can be sourced in the future if any debate arises on this issue.